Incorruptibility is a belief among the Roman Catholic and Eastern Orthodox’s churches that certain bodies do not undergo the decomposition process after death. These bodies typically belong to saints or beati and are often seen as holy. The bodies are also said to have a pleasant aroma, which Catholics refer to as an “odour of sanctity.” One may wonder how the Catholic church knows someone’s body isn’t decomposing. The answer is that during the canonization process (the process of making someone a saint), officials will exhume a body in order to remove relics. What is a relic? Pieces of the body and other items associated with the would-be saint. Some examples include bone fragments, hair, organs, pieces of cloth, etc. While exhuming the body, sometimes a couple years later, often times centuries later, church officials will come across a body that is remarkably well preserved. This is where the term incorruptibility originates. 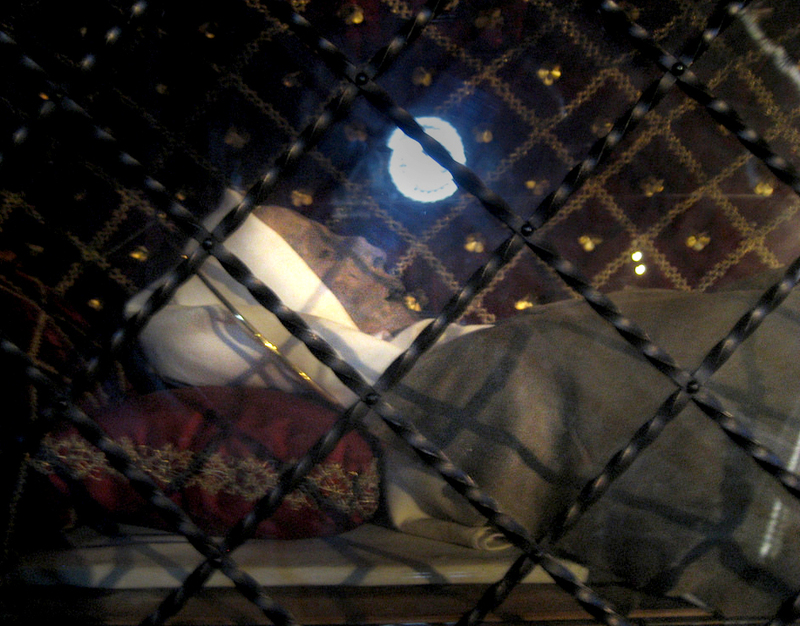 Skeptics, however, believe these so-called incorrupt bodies aren’t as holy as they seem. It’s been suggested (and proven) that many of the bodies have actually undergone either a mummification process or embalming. Others are clearly wearing wax masks to disguise their decay. The “odour of sanctity” can be attributed to the smell of embalming fluids, which used to contain lavender oils and other fragrant scents. Since many of these bodies are currently or routinely on display to the public, we’ve compiled an album of photos and backstories as well as any scientific findings behind these so-called incorruptible bodies. Born in 1247 in Tuscany, St. Margaret worked with the poor and needy and claimed to be in direct communication with Jesus. After her death in 1297, she was made a saint in 1728. Her body appeared to remain “incorrupt” for over 700 years, until a forensic investigation revealed cuts and stitching along Margaret’s thighs and abdomen. She had been artificially mummified. Researchers later found evidence that the people in Margaret’s town requested that she be embalmed after her death. Close-up of St. Margaret’s body shows discolored, withered skin. The nose is also sunken.